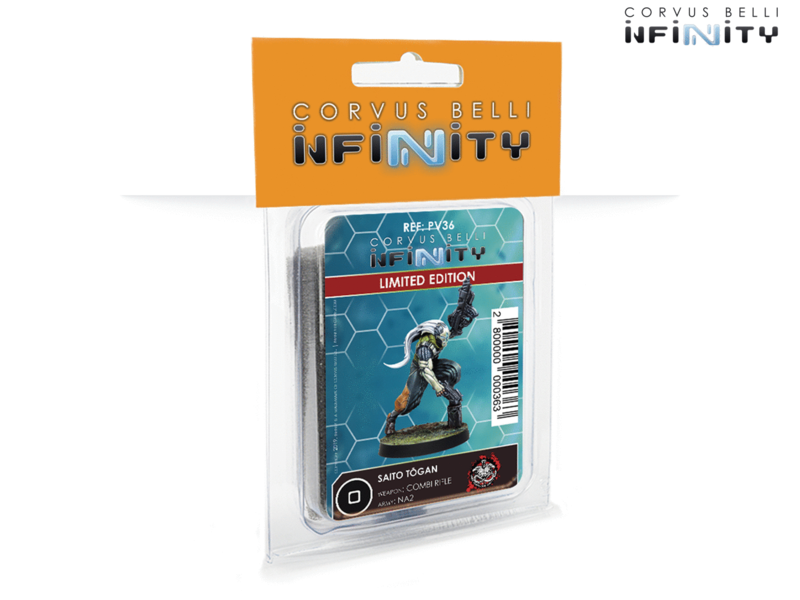 Die Adepticon naht und Corvus Belli starten ihre dazugehörige Vorbestellaktion für Infinity und Aristeia!. 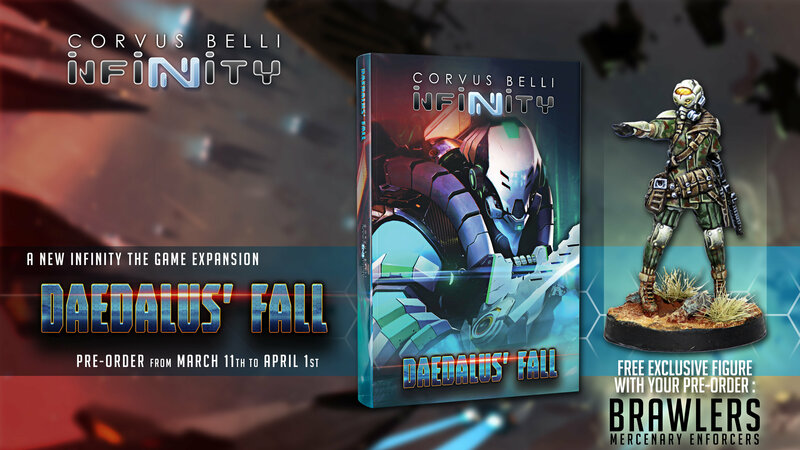 “Daedalus‘ Fall” is a campaign and expansion book that advances the history of the Infinity universe. 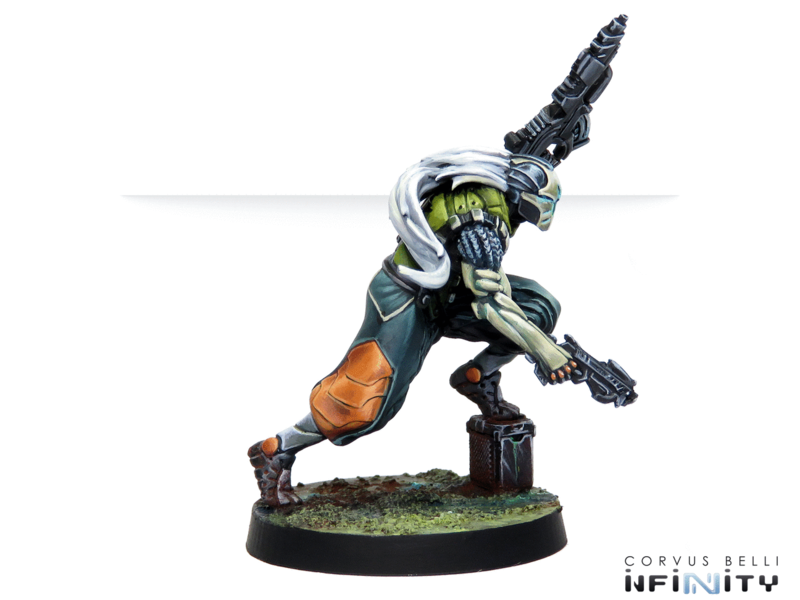 If the previous book detailed the tactical acumen of the Combined Army, we now introduce the devious tricks of the Tohaa Triumvirate. 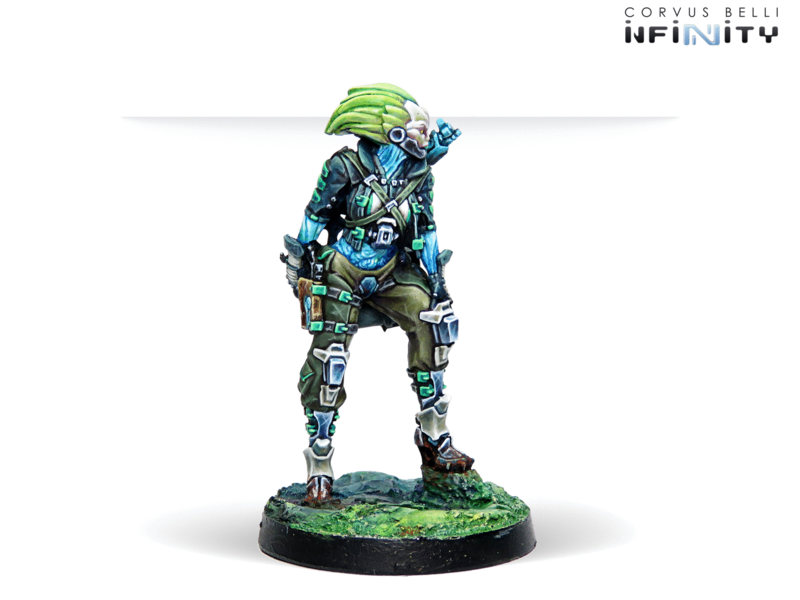 The players will be able to relive the most important moments in the Human Sphere after the collapse of the Tohaa jump gate thanks to the campaign rules. 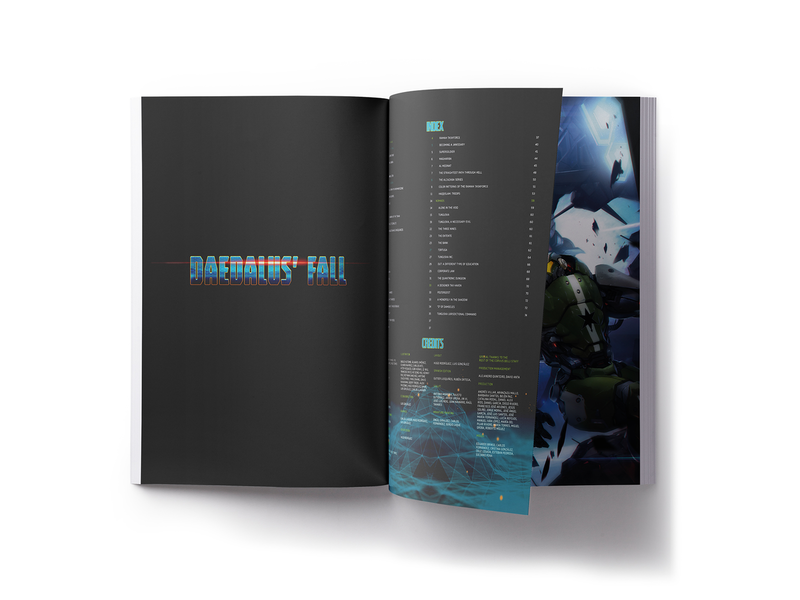 A total of 18 narrative missions are collected in “Paradiso Crossroad” and “Daedalus’ Fall”. In addition, Infinity’s new book delves into the history and updates what has happened to the Haqqislam, Nomads, Combined Army and developments within NA2. Undoubtedly, one of the main aspects of this book are the new rules. 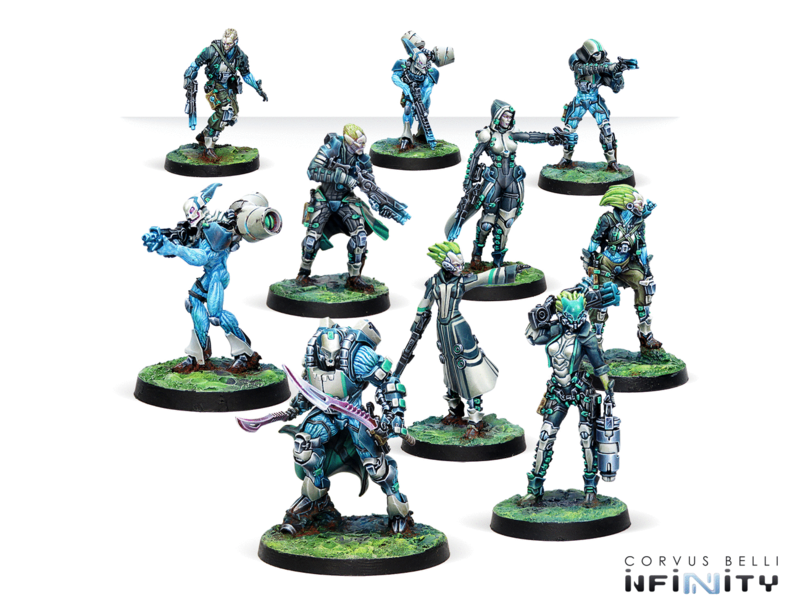 We are introducing five new sectorialss (Spiral Corps, Shasvastii Expeditionary Force, Ramah Taskforce, Foreign Company and Dahshat Company). 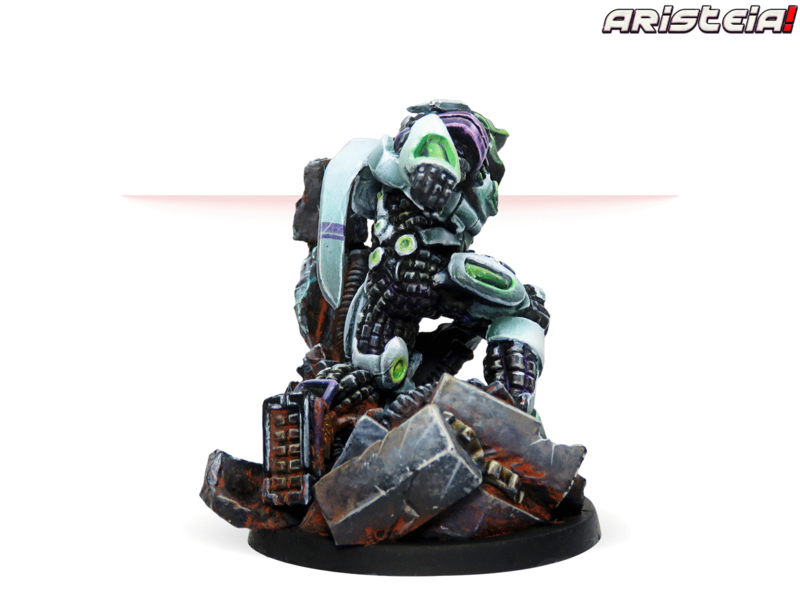 Some improvements and profile modifications will also be announced. 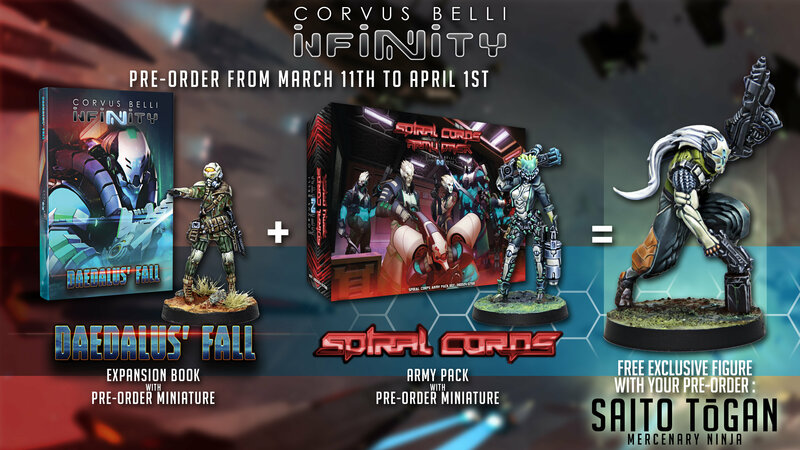 All this data will be available to the community in Infinity Army on March 27. 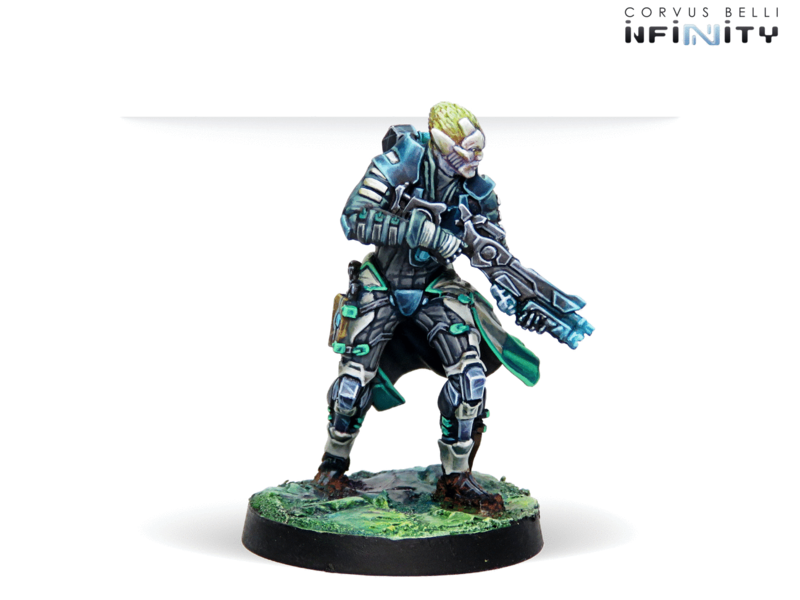 The purchase of the “Daedalus‘ Fall” book will include the exclusive “Brawler Hacker” miniature only during the pre-order period. 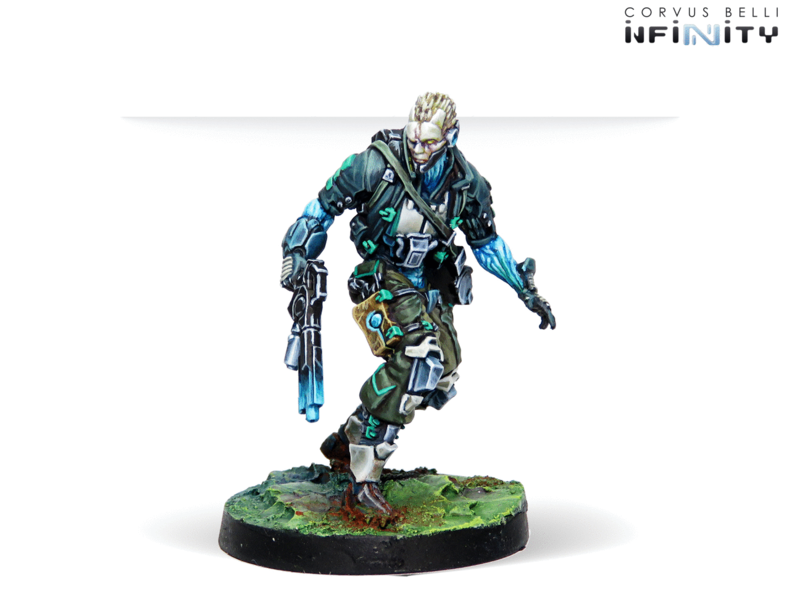 “Spiral Corps” is an NA2 Army Pack that features a mercenary company acquired by the Tohaa Triumvirate to hide their actions within the Human Sphere. 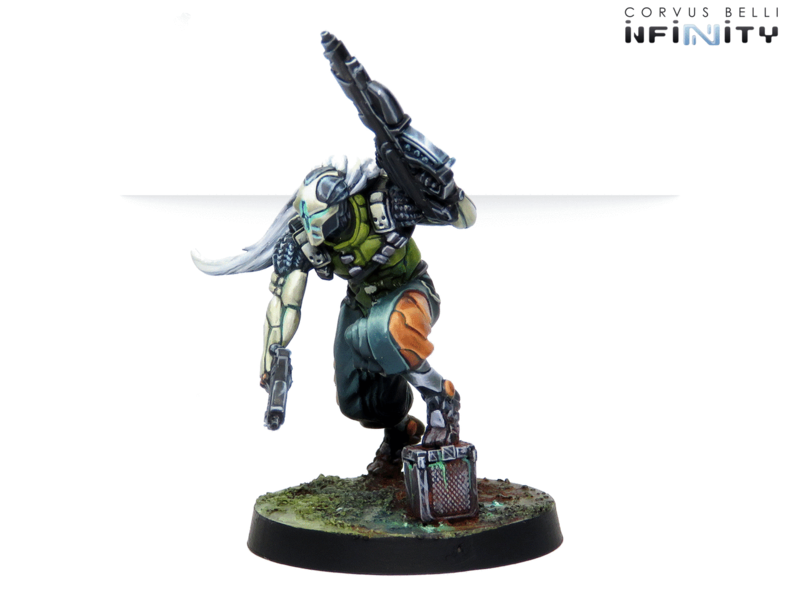 They are also known as Shasvastii Hunters, and are a joint mercenary Operation. 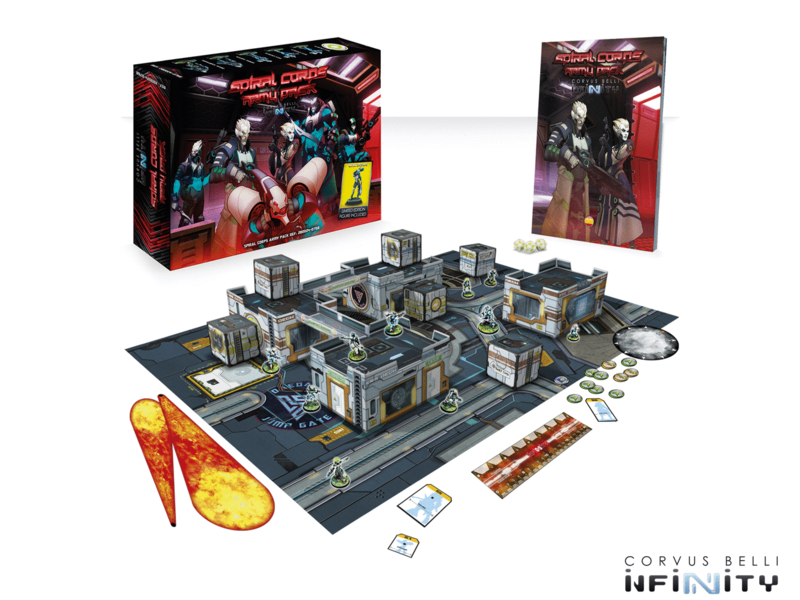 The box contains 10 unreleased miniatures and everything you need to play: dice, poster playmat, easy to assemble terrain, markers, and templates. 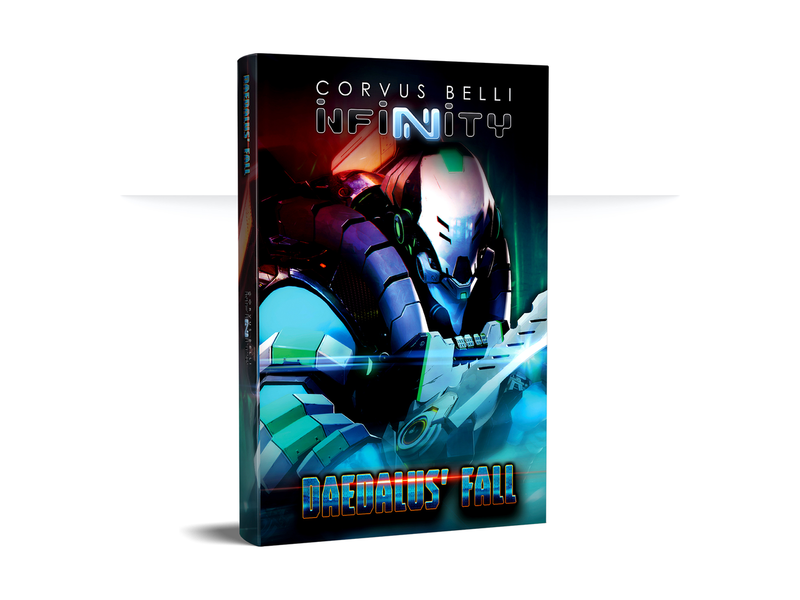 In addition to all of this, the exclusive “Hatail Spec-Ops” miniature will be included only during the pre-order. 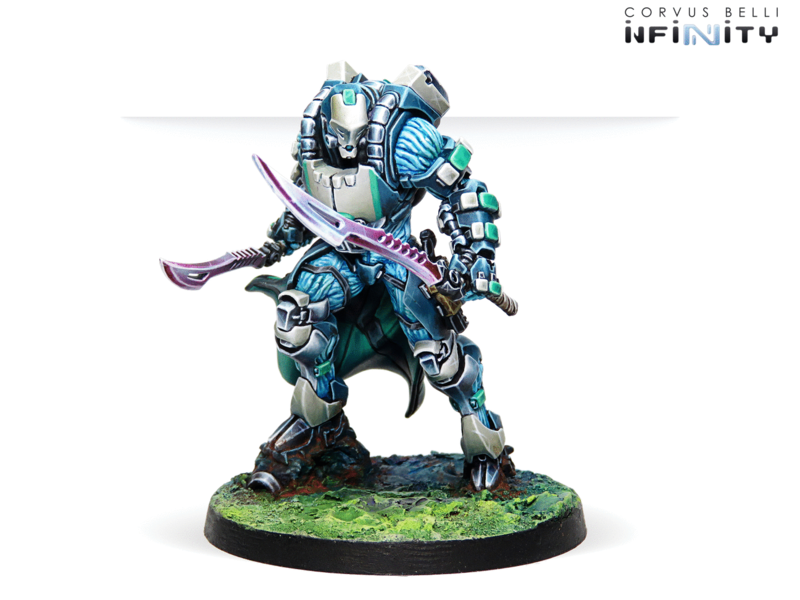 The “Saito Tōgan” alternate model will be launched to complete the Adepticon package. 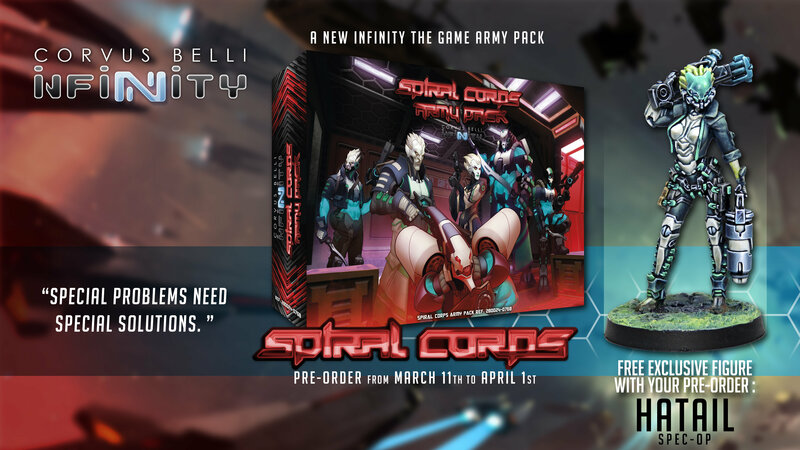 This limited-edition copy can only be purchased during the pre-order period. 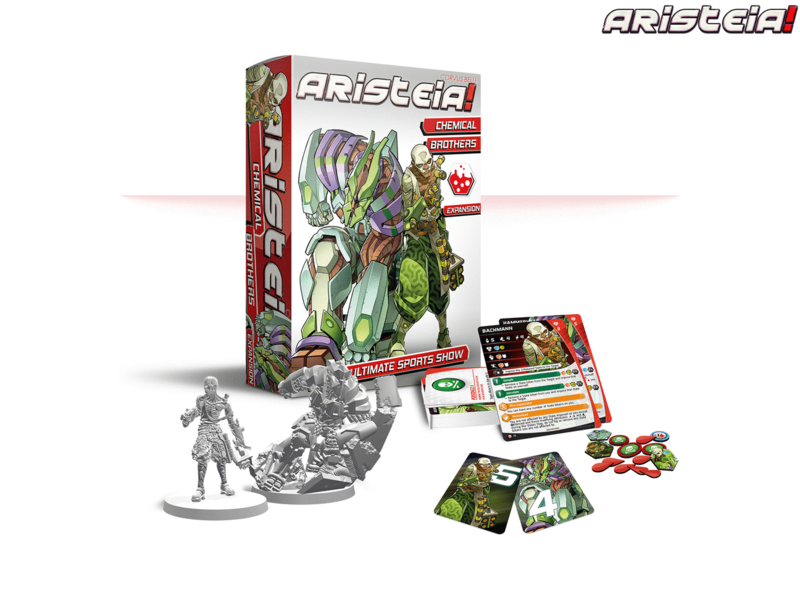 Chemical Brothers is an expansion for the Corvus Belli’s funniest board game: Aristeia! 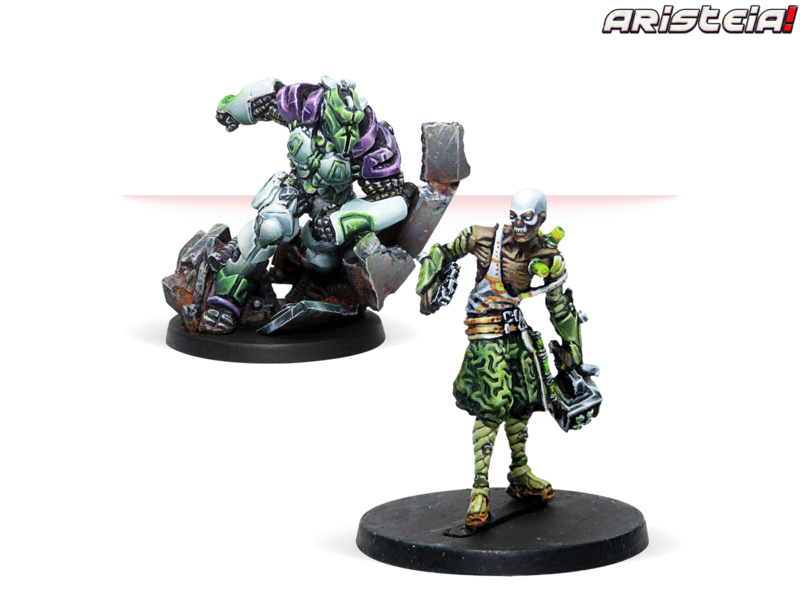 Two new aristos from Haqqislam arrive to turn the HexaDome upside down. 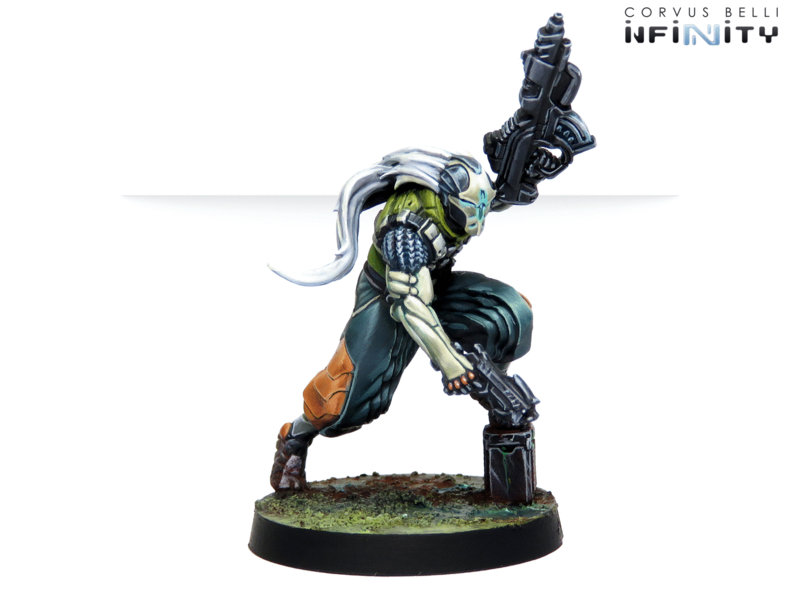 The brothers Bachmann and Hammerhead won’t hesitate to use poison, their favorite weapon, to get to the final victory. Pinselt Angel Giraldez nicht mehr für CB? 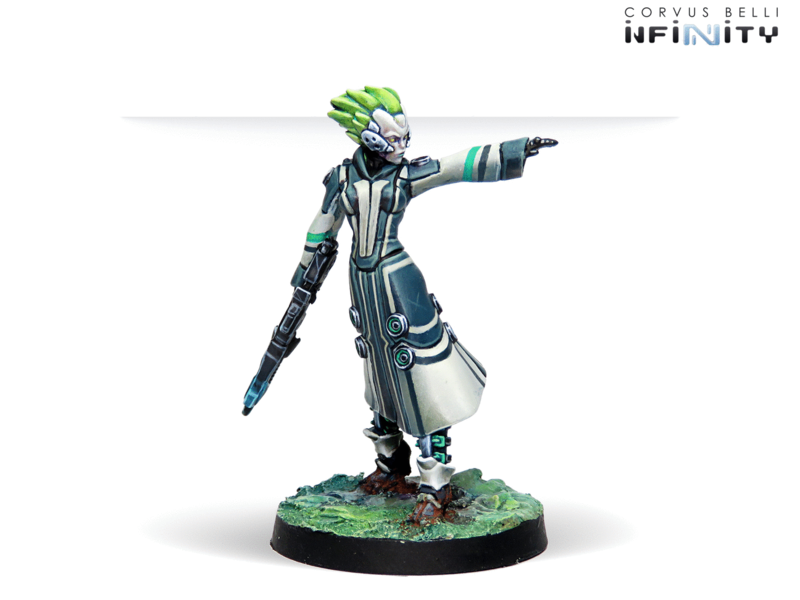 Die Sculps Sind in Gewohnter Qualität und wissen zu gefallen. Der schwere Tohaa sieht aber recht stark nach Pan O. aus finde ich. 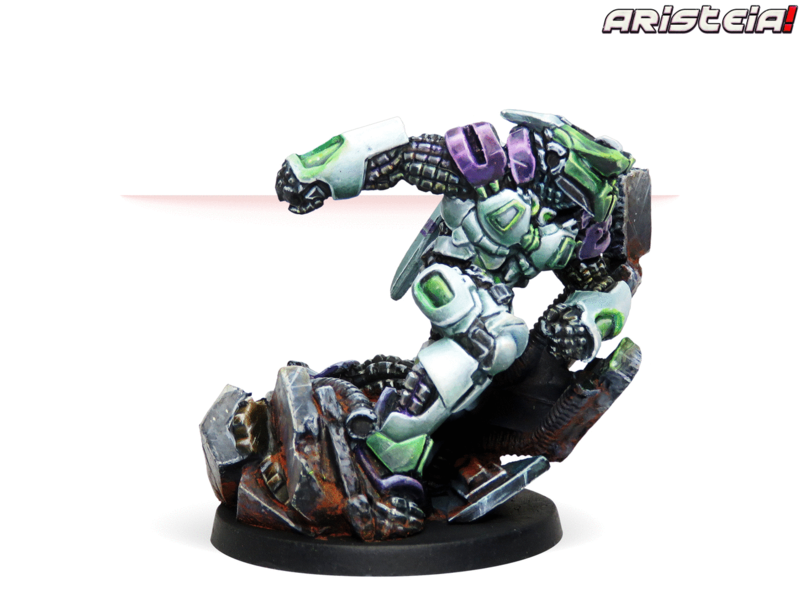 Das Aristeia-Set gefällt mir! Da kann man sich bemaltechnisch auch ordentlich austoben! 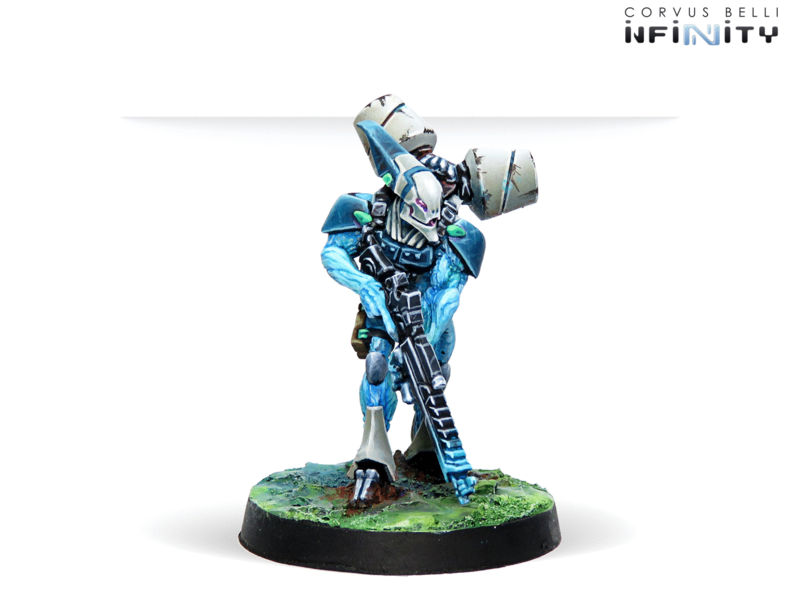 Das sieht aber so gar nicht nach Angels Malstil aus, eher so Standardbemalung, und nichtmal sauber. Das Buch ist natürlich sehr interessant. Angel bemalt doch schon längst nicht mehr alle Releases selber. 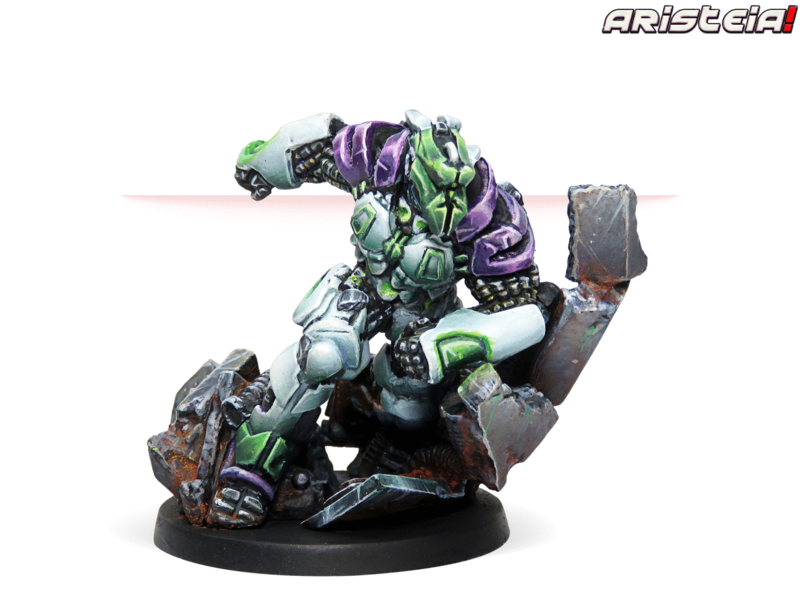 Ausgehend von der Quali könnten das Jose (Infinity) und Jorge (Aristea) bemalt haben. Den Artefakten nach würde ich eher auf falsche Bildbearbeitung oder Konvertierung tippen. 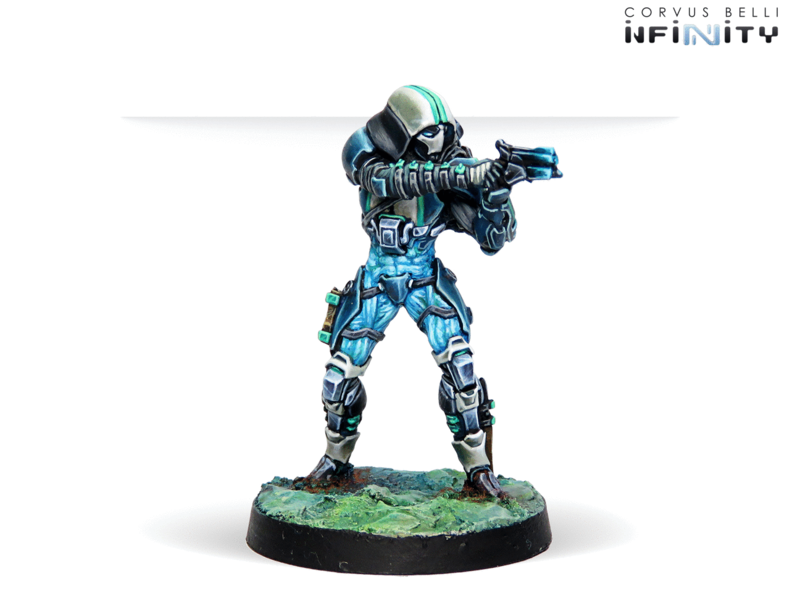 Figuren sind nice, leider habe ich nicht mal meine Coldfront Aleph, geschweige denn die Invincible Army die zu Weihnachten kam fertig. Neues zu NA2 hört sich aber schon wieder nice an.